An amateur documentarian at a high school, Peter Maldonado, decides to investigate crimes at different schools and create documentaries designed to expose what he feels is the truth about who committed the crimes. In his first documentary, someone vandalizes 27 vehicles in a high school parking lot by spraying them with orange line drawings of penises. The school board expels senior Dylan Maxwell after determining that he must be the culprit given his history of drawing phallic symbols on school property in the past. Peter believes strongly that Maxwell has been falsely accused and punished. In the second documentary, Peter, joined by friend Sam Ecklund, investigate a crime committed at a private Catholic high school where someone put laxatives in the school's lemonade. In this case, the criminal promotes their act and even offers the public a villainous name. 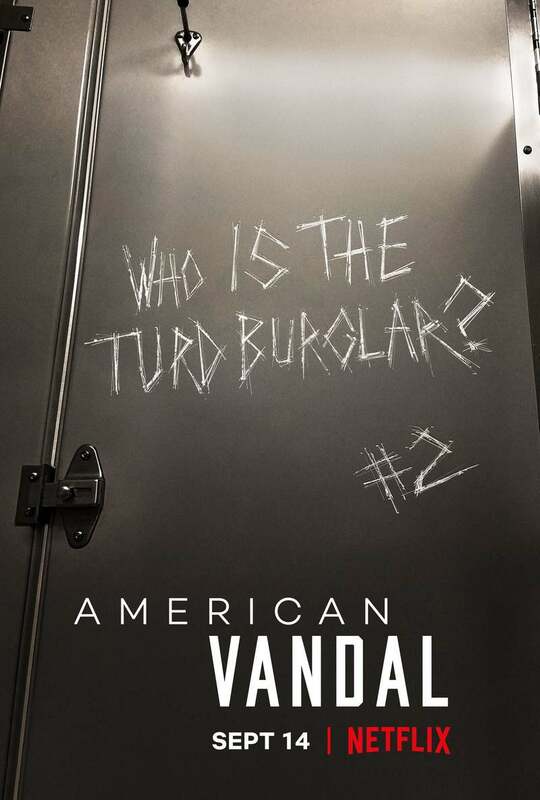 DVDs Release Dates is the best source to find out when does American Vandal come out on DVD and Blu-ray. Dates do change so check back often as the release approaches.